Jackie G. Prester, shareholder in the Memphis office, practices in the corporate and securities areas, with particular experience representing financial institutions, broker-dealers and investment advisers. Corporate & Securities: Ms. Prester serves as securities counsel for public company clients. Ms. Prester routinely advises companies raising capital through private placements of securities, as well as offerings registered with the SEC. Ms. Prester advises corporate clients on strategic alternatives, negotiating mergers and acquisitions on behalf of clients. Financial Institutions: Ms. Prester represents numerous financial institutions, with extensive experience forming, converting, buying and selling banks. 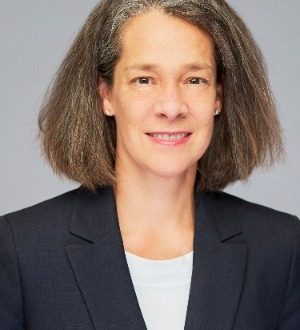 She regularly counsels clients on various bank regulatory issues, including compliance with newly enacted statutes and regulations and regulatory enforcement actions. Ms. Prester worked as a national bank examiner with the Office of the Comptroller of the Currency from 1987-1993. Broker-Dealers & Investment Advisers: Ms. Prester represents numerous broker-dealers and investment advisers. She regularly counsels clients on compliance issues.